The Calaveras County Water District Board of Directors presented two $500 scholarships at today’s Board meeting. 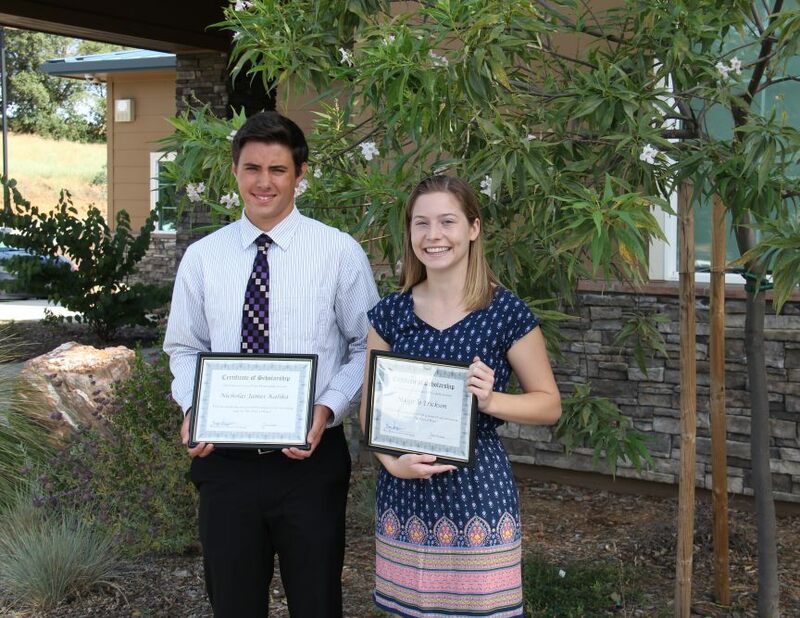 The 2016 scholarship recipients are MaggiJo Erickson of Calaveras High School and Nicholas Kalika of Bret Harte High School. Discuss the value of water, conservation and how the drought is impacting Calaveras County and the State as a whole. How do you think challenges presented by the drought should be addressed locally and regionally? A committee of three CCWD staff members reviewed more than 40 essays that were submitted by students attending Calaveras High School, Bret Harte High School and Mountain Oaks School. Once the top two students were chosen, staff invited the winners to read their essay to the Board of Directors.